The literature highlights the confusion amongst women diagnosed with ductal carcinoma in situ (DCIS) about aspects of their disease and treatment and the wide variation in how doctors communicate about DCIS. The DCIS communication aid (CA) was developed to assist clinicians to communicate with women diagnosed with DCIS and to improve women's understanding about their disease, prognosis and treatment options. This study aimed to assess patient and clinician perceptions of the CA. The CA included information and diagrams about key aspects of the diagnosis, prognosis, treatment and support. It was designed to be used in clinical consultations and taken home after the consultation. Australian women with DCIS (n=18) participated in structured interviews and clinicians (n=7), including surgeons and radiation oncologists, completed surveys to assess their perceptions of the CA. Main outcome measures included satisfaction with the content, design and diagrams in the CA, and perceptions of the benefits of the CA and its impact on doctor–patient communication. All clinicians and women with DCIS reported that the CA would assist communication and help women understand their diagnosis. This is the first intervention designed to decrease the confusion amongst women with DCIS and improve doctor–patient communication in this area. This study highlights that interventions such as the DCIS communication aid may be a valuable resource for clinicians and women with DCIS. 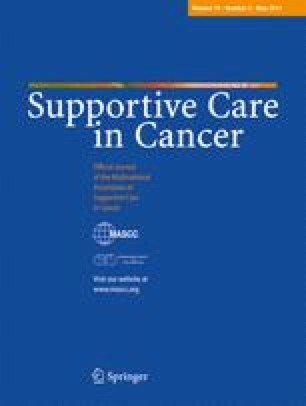 This study also highlights key communication challenges relating to DCIS. The authors wish to express their appreciation to the women with DCIS and clinicians, in particular Associate Professor Geoff Delaney, who were involved in this study. Source of funding: National Breast and Ovarian Cancer Centre (NBOCC), Sydney, Australia.